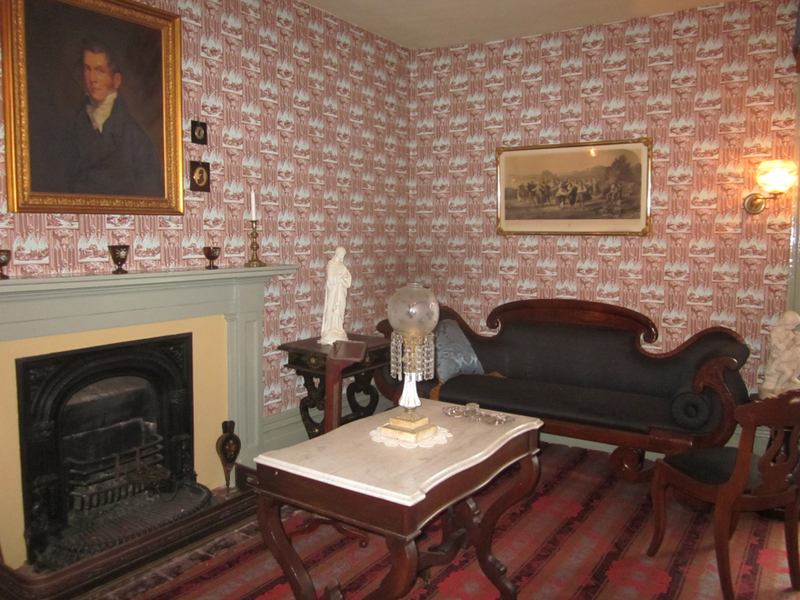 Although it is uncertain in which of the seventy-two rooms of Dundurn Castle this pattern was installed, it seems likely to have been a bedroom or similarly modest-sized room rather than a larger public room. When Adelphi staff first viewed photographs of the fragment – but before we viewed the actual document – we imagined that it could have been an early roller printed wallpaper. 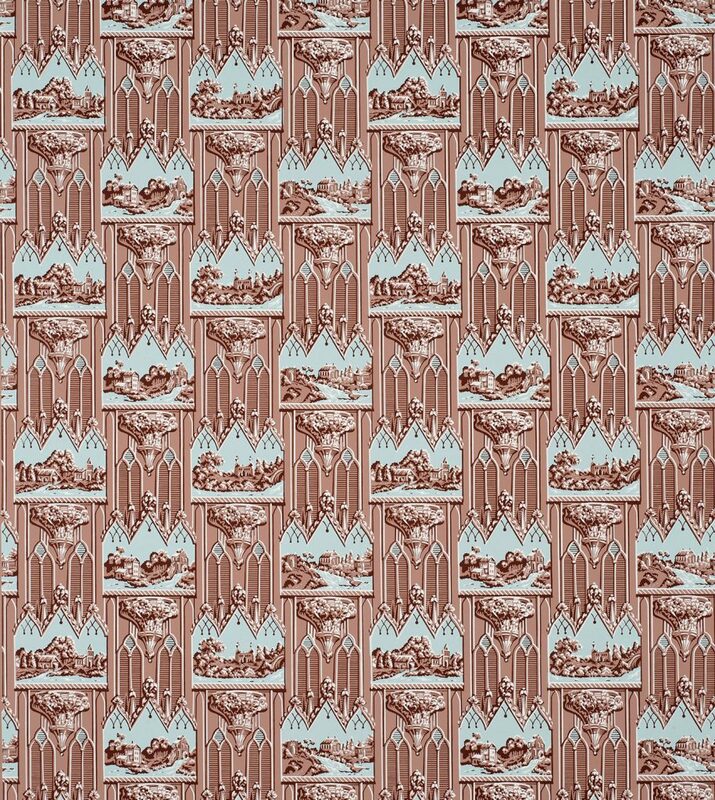 The 1840s was the period when wallpaper manufacturers were switching from block printing to the much less labor intensive and therefore more economical method of roller printing. Designs like this were typical of those early machine printed ones. However, when the fragments arrived we immediately realized it was a block print: the paints were opaque distemper and the delineation of the design was crisp, without the bleeding of one color into another as is the case with early roller printed papers. Imperial Measurements: Repeat 21 ¾ inches, width 20 ¾ inches, length 11 yards, straight match. Metric Measurements: 55 cm, 52.7 cm, 10 m.